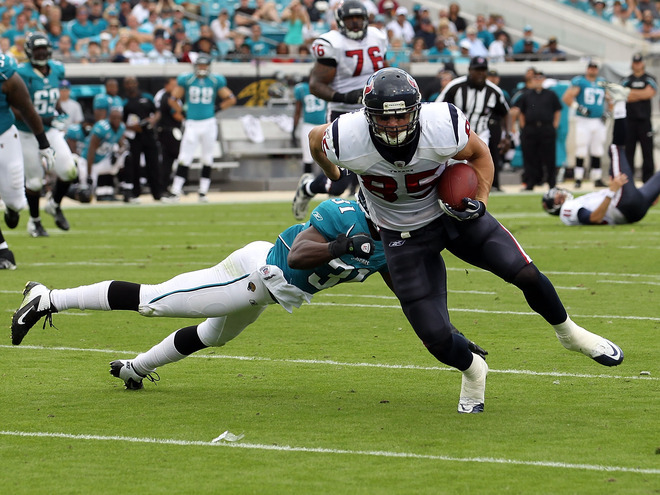 The Jaguars did their best in knocking out Texans QB Matt Leinart Sunday, but still couldn’t do enough as they fell to the Texans 20-13 to drop to 3-8 on the season. Texans rookie QB T.J Yates came in for Leinart, and led the Texans to a victory. Making his first start since 2009, Leinart completed 10-of-13 passes for 57 yards and a touchdown before leaving in the first half with a shoulder injury. Yates connected on 8-of-15 passes for 70 yards in relief. Starter Matt Schaub was placed on injured reserve earlier this week due to a foot injury. Arian Foster carried the ball 22 times for 65 yards and a touchdown for the AFC South-leading Texans (8-3), who have won five in a row. Andre Johnson, who missed the last six games with a hamstring injury, caught just two passes for 22 yards. Blaine Gabbert completed 13-of-29 passes for 136 yards and an interception for the Jaguars (3-8), who have lost two in a row. Luke McCown connected on 7- of-11 passes for 62 yards. 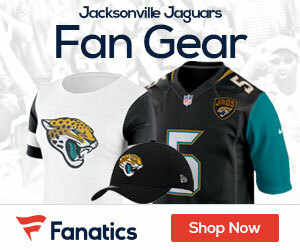 Maurice Jones-Drew carried the ball 18 times for 99 yards in defeat for the Jags, who will be at home next Monday to take on the Chargers in a night game at 8:30pm.